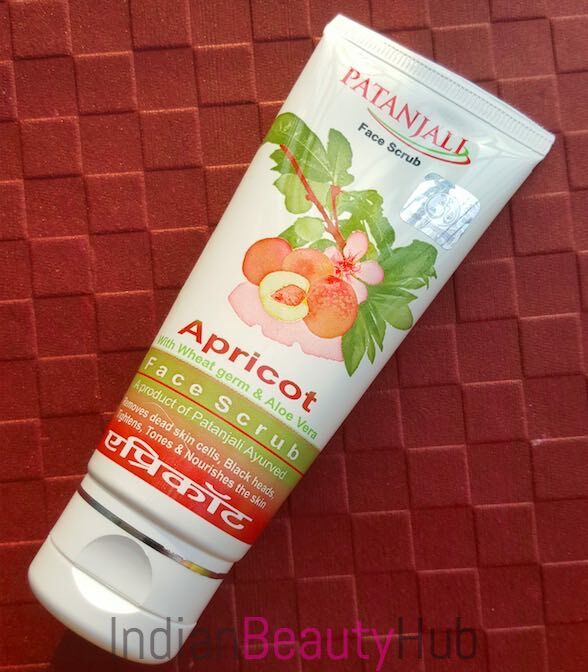 Hey everyone, today I’m going to review a yet another skincare products from Baba Ramdev’s Patanjali Ayurved – Apricot Face Scrub. I like Patanjali products as they have never had any adverse effects on my oily acne prone skin. I tried many products in the past, you can read their reviews here. 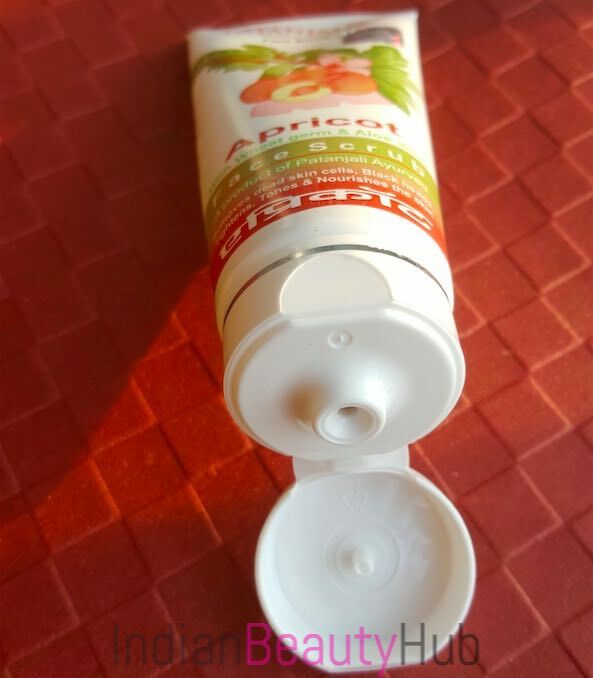 Packaging: Patanjali Apricot Face Scrub comes in a white plastic tube with a flip cap. The tube packaging is very hygienic & convenient to use and it can be easily carried along while traveling. The product related important information like claims, usage, ingredients, price & expiry date is also mentioned on the tube. Texture & Fragrance: Patanjali Apricot Face Scrub comes in a white cream form and it contains lots of brown scrubbing granules. It has a herbal fragrance which is not very strong, though. 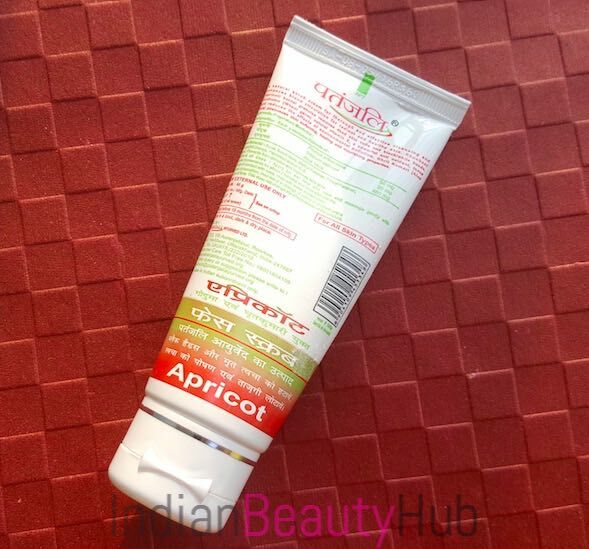 Price & Availability: The price of the Patanjali Apricot Face Scrub is Rs.60 for 60g. It is easily available at Patanjali outlets, Big Bazaar and also online at Amazon.in. 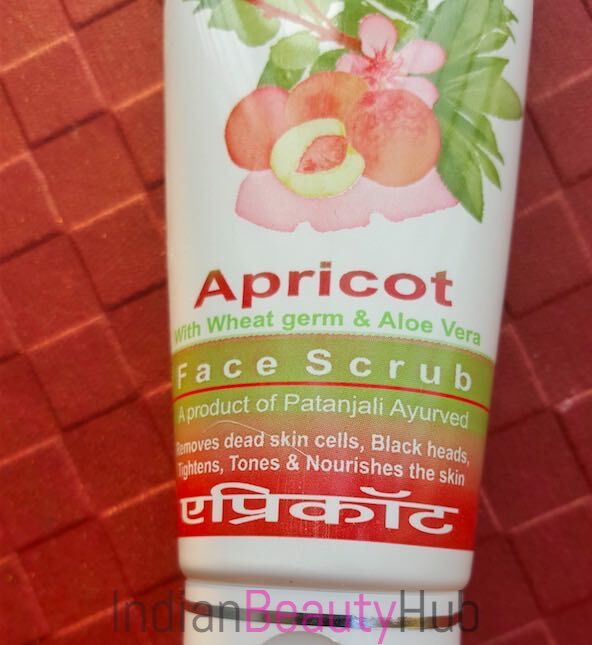 Efficacy: After cleansing my face with a mild face cleanser and warm water, I take a dollop of Patanjali Apricot face scrub and massage it in a circular motion on my damp face & neck. Due to its creamy texture, it spreads very easily on the skin. I keep on massaging it on my face for good 3-4 minutes focusing on my t-zone that is more prone to blackheads & whiteheads. After washing it off my skin feels very soft & smooth to touch and there is a visible glow on my skin. It exfoliates the skin nicely and extracts impurities, whiteheads & blackheads from the skin leaving the skin clean & clear. 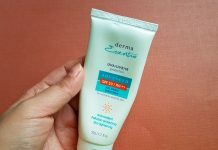 It is enriched with apricot, wheat germ, and aloe vera extracts. A gentle face scrub that exfoliates dead skin, whiteheads & blackheads from the skin nicely. 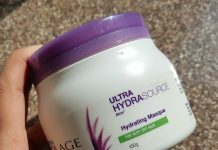 It leaves the skin soft, smooth and glowing. A cream-based face scrub that doesn’t leave the skin stretchy or dry. Not 100% natural, it contains parabens. The scrubbing granules are quite abrasive that might irritate sensitive skin. 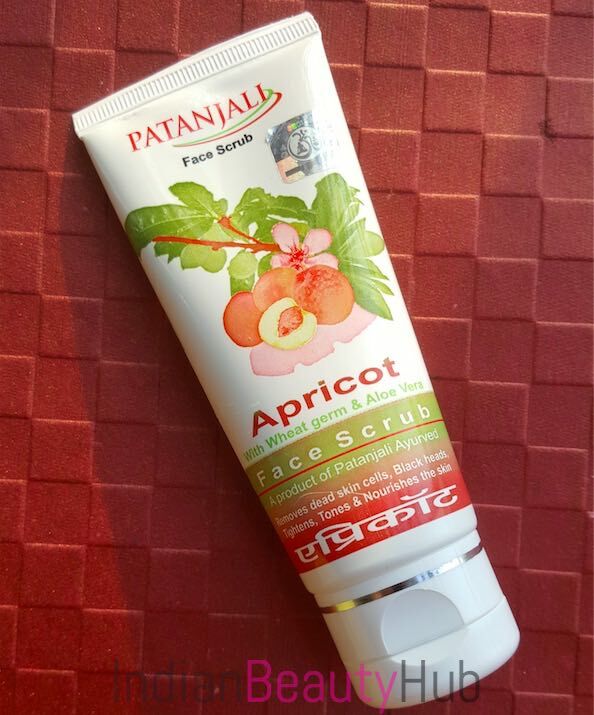 Overall Patanjali Apricot face scrub is a pretty decent product that does the job nicely. It removes dead skin, whiteheads & blackheads and leaves the skin soft, smooth & hydrated. 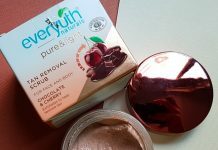 You will definitely give this a try if you are looking for an affordable face scrub. Hey any idea whether this product can lighten the dark area at the corner of the lips. 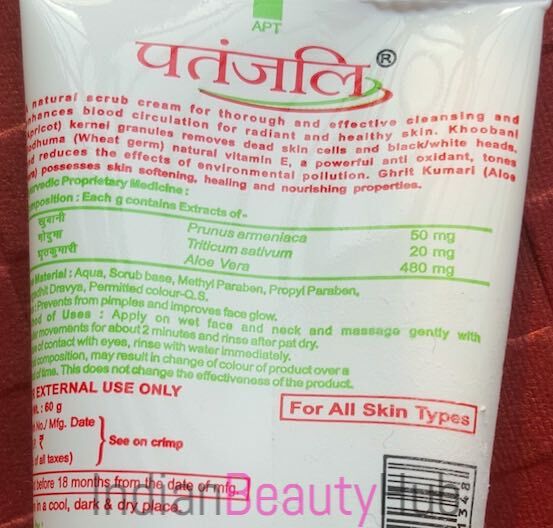 Pls do let me know or do u suggest any other patanjali product. Can anyone suggest me best srub for dry skin??? Lotous herbal Berryscrub is best for dry skin…its very mild scurb.